Every woman wishes to have naturally healthy, strong and gorgeous hair. But unfortunately, today’s hectic lifestyle, polluted environment and stressful life leave none of us with any time to take care of it. And, the result unsurprisingly is- hair fall, dandruff, split ends, premature greying strands, hair breakage, and what not! Ladies, does this sound familiar to you too? Well, if your answer is a big ‘yes’, then we have something to help you out with all your problems. Here, let us take you through what is inside the magical bottle of Dabur Vatika Enriched Coconut Hair Oil and its benefits. 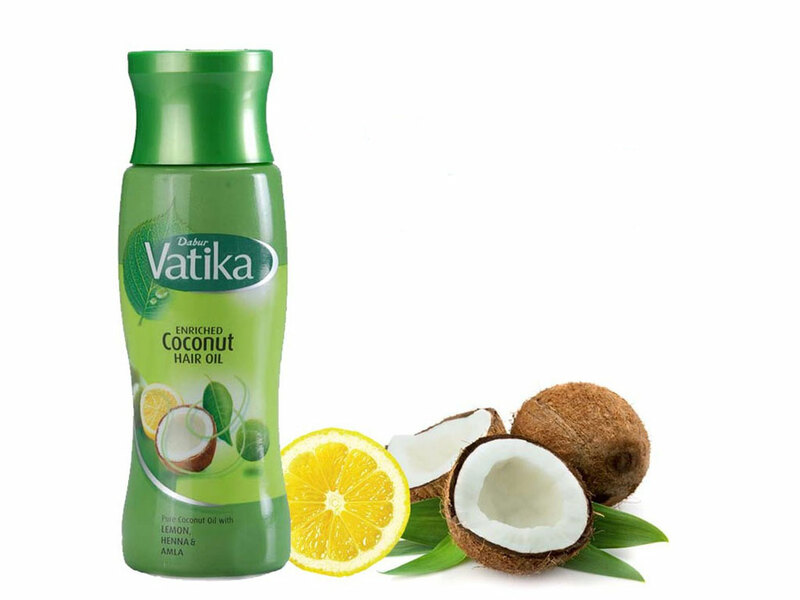 So, what makes Dabur Vatika Enriched Coconut Hair Oil so special? Well, let us tell you. Highly nutritious coconut oil has been used since ages for maintaining long and strong beautiful hair. It contains lauric acid, which prevents the loss of hair protein, hence, reducing the hair damage to a great extent. Its high moisture retention capacity also reduces hair breakage and split ends. Also, rich in antioxidants, coconut oil has antibacterial and anti-fungal properties that save your hair from infections and dandruff. Regular usage of coconut oil ensures deep natural conditioning of your hair making it free from frizz and further hair damage. And, as Dabur Vatika Enriched Coconut Hair Oil is filled with all the goodness that the purest form of coconut oil can give to your hair, this is the best gift that you can give to your precious tresses to make them look all the more beautiful! One of the most powerful natural ingredients for hair care, amla offers innumerable benefits. The essential fatty acids present in it nourish your hair from deep within and provide strength to your strands, hence reducing the hair breakage. The antioxidants and vitamin C present in it can even reverse the sign of ageing, and save your hair from premature greying. What’s more, it can treat the problem of hair odour, split ends, dandruff and hair fall as well. Well, as we told you, Dabur Vatika Enriched Coconut Hair Oil contains amla and hence, it can give you all the above mentioned benefits of this magical ingredient. So, don’t you think it is time to gift your hair a wonderful green bottle of Dabur Vatika Enriched Coconut Hair Oil ? Popularly known as mehendi in India, henna too is very important for healthy hair. This natural hair conditioner restores the acid and alkaline balance of your scalp and prevents you from dandruff, hair fall and hair damage. Not only does it provide a natural color to hide hair greying, but it also prevents the hair damage that is caused due to sunlight, pollution and dust. Regular usage of henna makes your hair more voluminous as well as shinier. Also, it conditions your mane from deep within making it frizz-free as well as free of split ends ! Well, we know in today’s busy lifestyle, it is difficult to use henna in its purest form. And hence, Dabur Vatika Enriched Coconut Hair Oil has put all the goodness of henna in it magical bottle, which you can use without much hassle. Enriched with various nutrients like vitamin C, magnesium, calcium, pectin, flavonoids and citric acid, lemon helps to increase the growth as well as strength of your hair. These components save your hair from some of the serious problems such as hair damage, hair fall, hair breakage and split ends. Citric acid prevents your hair from dandruff, and vitamin C makes it stronger. Another compound present in it, limonene gives your frizzy hair the much-needed shine. And, you know that you can all this goodness with ease in nothing, but a bottle of Dabur Vatika Enriched Coconut Hair Oil ! So, time to grab one for yourself, isn’t it? Before applying this oil on hair, make sure you have at least one hour in hand. Because the longer you leave it on hair, better would be the results. Keep a wide-teeth comb and a shower cap or small towel with you. Now, apply the Dabur Vatika Enriched Coconut Hair Oil gently on your scalp. It is not advisable to comb your hair immediately after you massage it with oil, as it weakens the hold of your strands from the roots. So, after a while, detangle the messy strands with a wide-teeth comb. Following this, wrap up your hair in a small towel or a shower cap and leave it for at least an hour. After this, wash off your hair with a mild shampoo to remove the oil. Follow this remedy at least twice a week to get the best results. 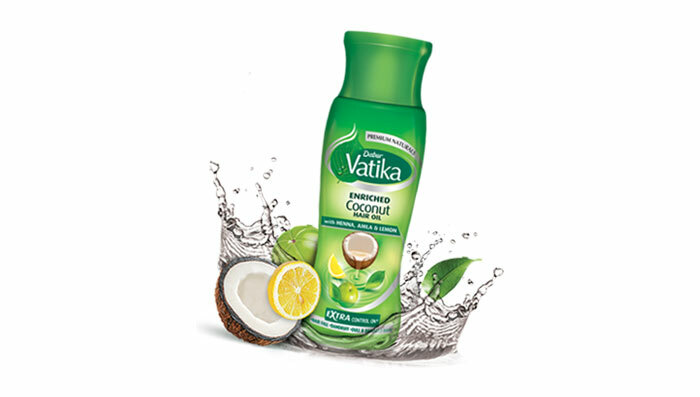 Just go and grab a bottle of Dabur Vatika Enriched Coconut Hair Oil, and say goodbye to all your hair woes!